Death Penalty For Boston Bomber Dzhokhar Tsarnaev : The Two-Way The 2013 marathon bombing killed three people and left 264 others wounded. In April, the same jury convicted Tsarnaev of all 30 counts brought against him. After listening to testimony from 63 witnesses and deliberating since Wednesday, a jury of seven women and five men in Boston gave convicted Boston Marathon bomber Dzhokhar Tsarnaev the death penalty. There was no visible reaction from either Tsarnaev or his legal team. Count 4: Use of a weapon of mass destruction (pressure cooker bomb #2) on or about April 15, 2013, in the vicinity of 755 Boylston Street in Boston, Massachusetts, and aiding and abetting, resulting in the deaths of Lingzi Lu and Martin Richard. Count 5: Possession or use of a firearm (pressure cooker bomb #2) during and in relation to a crime of violence, namely, use of a weapon of mass destruction as in Count Four ... and in aiding and abetting, resulting in the deaths of Lingzi Lu and Martin Richard. Count 9: Bombing of a place of public use (pressure cooker bomb #2) on or about April 15, 2013, in the 755 Boylston Street in Boston, Massachusetts, and aiding and abetting, resulting in the deaths of Lingzi Lu and Martin Richard. Count 10: Possession or use of a firearm (pressure cooker bomb #2) during and in relation to a crime of violence, namely, the bombing of a place of public use as in Count 9 ... and aiding and abetting, resulting in the deaths of Lingzi Lu and Martin Richard. Count 14: Malicious destruction of property by means of an explosive (pressure cooker bomb #2) on or about April 15, 2013, in the vicinity of 755 Boylston Street in Boston, Massachusetts, and aiding and abetting, resulting in the deaths of Lingzi Lu and Martin Richard. Count 15: Possession or use of a firearm (pressure cooker bomb #2) during and in relation to a crime of violence, namely, malicious destruction of property as in Count 14 ... and aiding and abetting, resulting in the deaths of Lingzi Lu and Martin Richard. 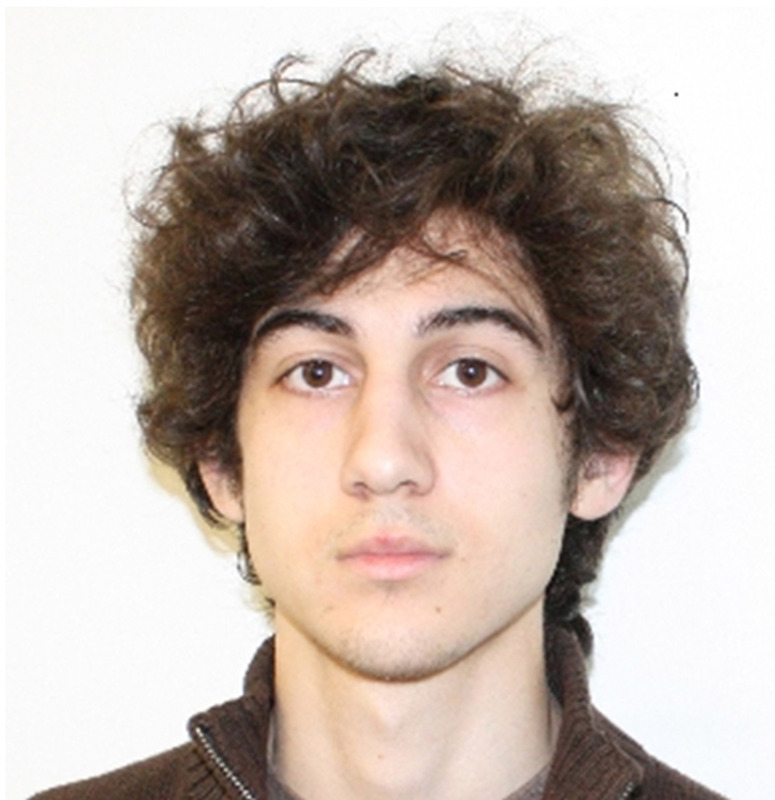 Seventeen of the 30 charges against Tsarnaev carried the possibility of the death penalty. The jurors had to vote for death on only one charge. In April, that same jury convicted Tsarnaev of all 30 counts brought against him. The 21-year-old was found guilty in the deaths of Krystle Campbell, Lingzi Lu and 8-year-old Martin Richard during the bombings, as well as the death of MIT police officer Sean Collier during a shootout that ensued after the bombings. During the sentencing phase, the jury heard from victims of the bombing. The prosecution portrayed Tsarnaev as a heartless terrorist. "Killing the innocent was the whole point," prosecutor Steve Mellin said about the bombing. "It's the way you terrorize an entire population." Testifying in Tsarnaev's defense were friends and families who described Tsarnaev as a caring kid. Also appearing on his behalf was a prominent anti-death-penalty nun, who said Tsarnaev was "genuinely sorry for what he did." In a statement, Attorney General Loretta Lynch said "the ultimate penalty is a fitting punishment for this horrific crime." For our full coverage of this story, please go here. For WBUR's complete coverage, please visit this page.